Foodstore close to Ellesmere town centre. New 30,000 sq. ft. foodstore together with 250 customer car parking spaces. Part of the Ellesmere Wharf redevelopment, the store is located next to the Llangollen Canal, Ellesmere Head. The scheme includes a new public square. 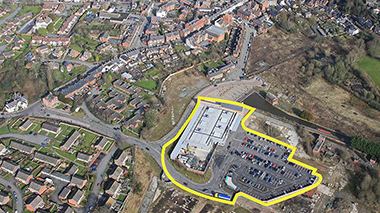 CPG acquired the site on behalf of Tesco Stores Limited.